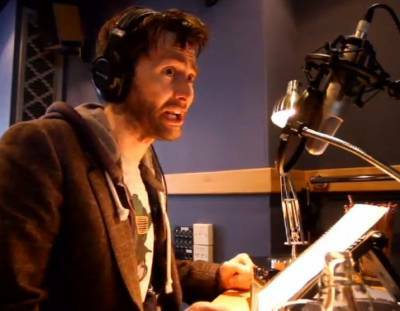 David Tennant had two cameo roles in The Itch Of The Golden Nit which is an animated short film that was conceived and drawn by children. It had its premiere in Leicester Square on Wednesday 29th June and its UK television premiere on Saturday 2nd July on BBC2. That broadcast was followed by a Blue Peter Special about making the movie. David's cameo roles are as a radio newsreader in Beanie's Dad's car and one of the superheroes called Stretchy McStretch. For posts related to The Itch Of The Golden Nit on Blogger.com click here.